After reading More's book people might have thought that he would be in favour of religious toleration. However, since More had written Utopia there had been a rapid growth in Protestantism. More was a strong supporter of the Catholic Church and he was determined to destroy the Protestant movement in England. As a writer, More was aware of the power of books to change people's opinions. He therefore drew up a list of Protestant books that were to be banned. This included the English translation of the Bible by William Tyndale. On 6th July, 1535, he was taken to Tower Hill. More told his executioner: "You will give me this day a greater benefit than ever any mortal man can be able to give me. Pluck up thy spirits, man, and be not afraid to do thine office. My neck is very short; take heed, therefore, thou strike not awry for saving of thine honesty." 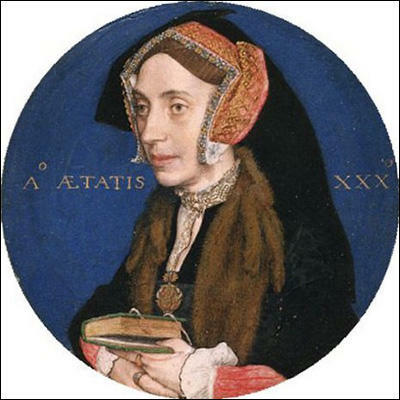 On the death of her mother Margaret witnessed the arrival not only of a stepmother but of two new members of the family: a stepsister Alice and an adopted daughter, Margaret Giggs, who was almost exactly her own age. The additions made it possible for More to employ tutors for his family, and certainly by the time she was ten Margaret participated in what was known as his ‘school'. This boasted distinguished tutors, and a curriculum that was rare enough for Tudor boys and exceedingly rare for girls. Besides studying Latin and Greek and reading the early fathers Margaret was introduced to astronomy, philosophy, theology, geometry, and arithmetic, with the purpose, in More's view, to introduce her to piety, humility, and, supremely, Christian virtue. More was the first Englishman seriously to experiment with the novel idea that girls should be educated too. 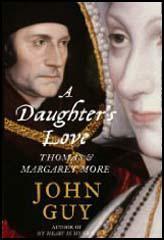 This may have been partly due to the fact that he had three daughters and an adopted daughter but only one son, and was undoubtedly helped by the fact that the eldest girl, Margaret, turned out to be unusually intelligent and receptive. She and her sisters Elizabeth and Cecily, together and their foster-sister Margaret Gigs, studied Latin and Greek, logic, philosophy and theology, mathematics and astronomy, and Margaret More, who presently became Margaret Roper, developed into a considerable and widely respected scholar in her own right. No one was more active in persecuting the Protestants who distributed the English Bible than Sir Thomas More, a brilliant lawyer, writer and intellectual who was a particularly nasty sadomasochistic pervert. He enjoyed being flogged by his favourite daughter as much as flogging heretics, beggars and lunatics in his garden. He humiliated his wife by pointing out to his guests, in her presence, how ugly she was in order to show that he had not married her because he was lusting for a beautiful woman. When he was writing as a propagandist for the Catholic Church, he was a shameless liar. On one occasion he wrote a very favourable review of his own book, pretending that it had been written by a non-existent, eminent, foreign theologian, when in fact he had written it himself. 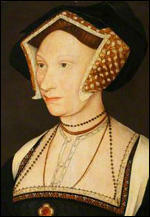 According to the version published in Paris, More added that he had only been proceeded against because of his constant opposition to Henry's marriage to Anne Boleyn. Roper and Harpsfield say nothing about this, even though they were writing in Mary's reign, when any condemnation of the divorce of Mary's mother and the marriage to Anne would have been very popular with the queen and the authorities. If More did in fact say this, it was of course untrue. Whatever More may have thought, he had not publicly opposed Henry's marriage to Anne, and had often pointed this out to Henry and Cromwell; and though More had been sentenced to life imprisonment for refusing to swear an oath supporting the marriage, he was sentenced to death for refusing to recognise that the king was Supreme Head of the Church of England. The supremacy had become the essential issue by 1535, and even if More had been an enthusiastic supporter of the divorce, he would have been executed for refusing to accept the royal supremacy. The Paris report is therefore probably wrong, and Roper and Harpsfield right, on this point. When More had finished, Audley passed sentence of death - the full sentence required by law, that More was to be hanged, cut down while still living, castrated, his entrails cut out and burned before his eyes, and then beheaded. As he was being taken back to the Tower, Margaret Roper and his son John broke through the cordon of guards to embrace him. After he had bidden them farewell, as he moved away, Margaret ran back, again broke through the cordon, and embraced him again. At the Tower, he was informed that he was to die before 9 a.m. on 6 July, the Eve of St Thomas of Canterbury's Day, and that the king, in his mercy, had commuted the sentence to death by the headsman's axe. On the night before his execution, he sent Margaret his hairshirt, so that no one should see it on the scaffold and so that she could treasure that link that was a secret between the two of them. He wrote her a last letter with the piece of coal that he had used for writing during the three weeks since they had removed his hooks and writing materials. In his letter, he asked Meg to give his farewell messages to his son, his daughter-in-law and their children, to his daughter Cecily Heron, to Margaret Clement, and to several of her maidservants; but he sent no message to his wife. He told Meg that he was happy to die on the eve of Becket's feast day and in the week after St Peter's Day, and he praised her courage in breaking through the cordon of guards to hid him farewell. I cumber you, good Margaret, much, but I would be sorry if it should be any longer than tomorrow. For it is St Thomas Even and the utas of St Peter; and therefore tomorrow long I to go to God; it were a day very mete and convenient for me. I never liked your manner toward me better than when you kissed me last; for I love when daughterly love, and dear charity, hath no leisure to look to worldly courtesy. Farewell, my dear child, and pray for me, and I shall for you and all your friends, that we may merrily meet in Heaven.